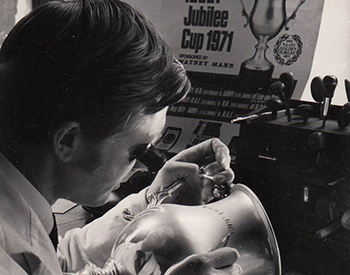 In this digital age of lasers and computers, hand engraving is something of a rarity. 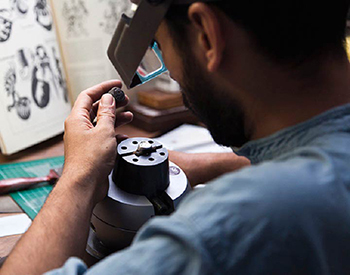 There are very few hand engravers left, especially ones skilled enough to achieve the quality we require at Rebus. 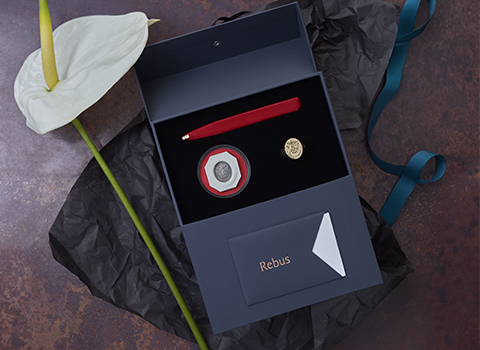 Rebus is well known for the calibre of its craftsmanship. Our workshop is open for you to visit any time, where we’ll introduce you to our team of award winning craftsmen and women. 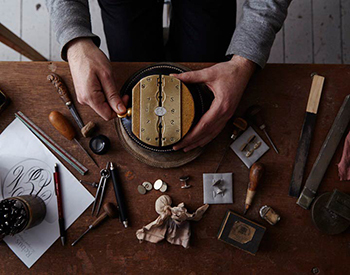 Over the years we have won 23 Goldsmiths Craft Council Competition awards. 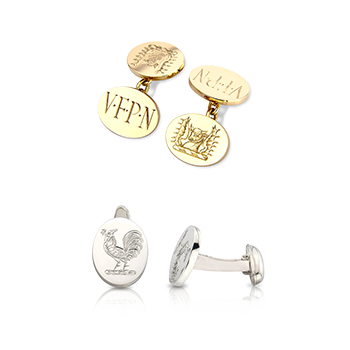 In 2013, at the first time of entering, our apprentice won a gold award and it is a Rebus tradition to have two apprentices at any time who are indentured through Goldsmiths Hall. 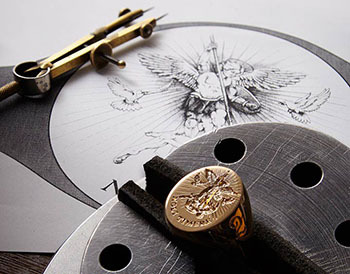 Once you’ve felt the craft, weight and quality of a Rebus signet ring, you’ll see the significant difference between these individually handmade pieces and the mass produced products available. 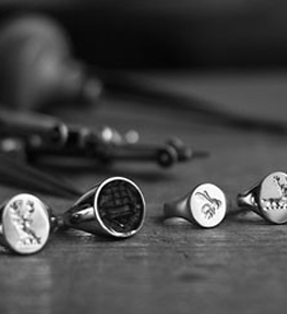 Every precious metal signet ring we create is hallmarked at the London assay office, and you can find out more about the importance of hallmarking on our FAQ page. 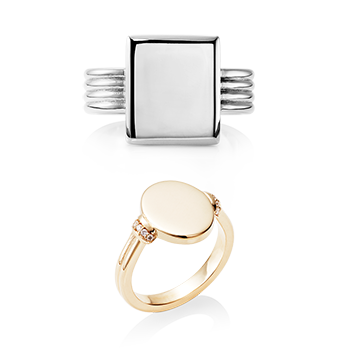 At Rebus, we use two different methods of creating signet rings. Casting rings is an ancient practice. The process requires the pouring of molten precious metal into a mould. 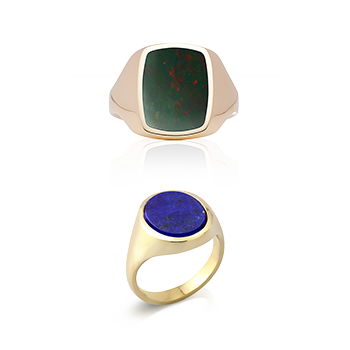 Years ago cast rings were often quite porous, leading to holes appearing on the surface or inside the jewellery. 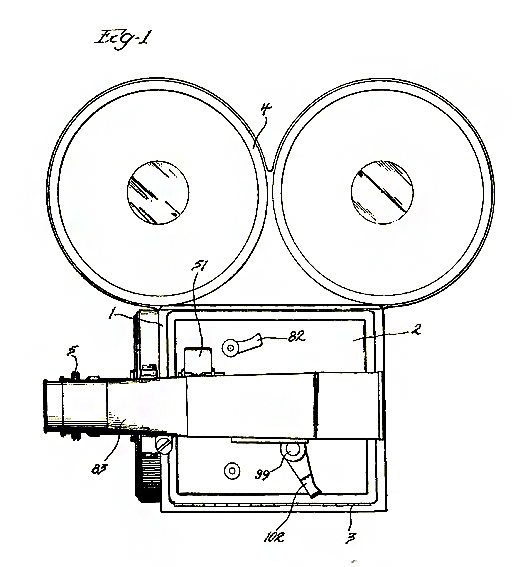 However, casting techniques and equipment have improved over the years. 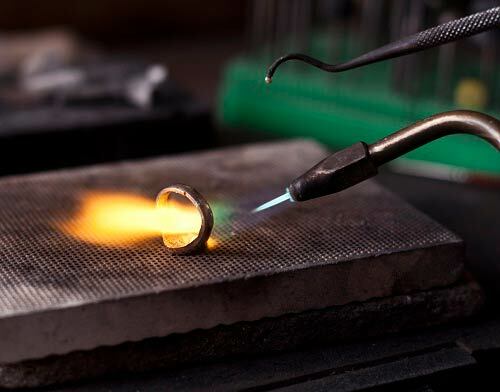 For our cast rings, we use an English company that has perfected the science of casting precious metals and invested heavily in the latest equipment. As a result, they cast for aeronautical and scientific instrument manufacturers and in all the years that we’ve worked with them, we have never received a faulty cast ring. 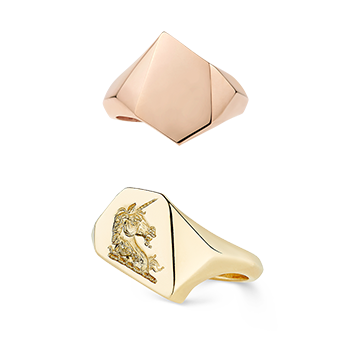 Die-stamped signet rings begin with a sheet of highly compressed precious metal. This is carefully fed into a hydraulic press that houses specially shaped steel dies, which strike the metal sheet with enormous pressure to punch out a flat signet ring blank. 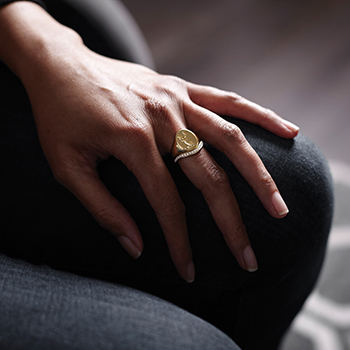 This process compresses the metal even further, giving a ring the density and longevity it requires to last a lifetime and longer. 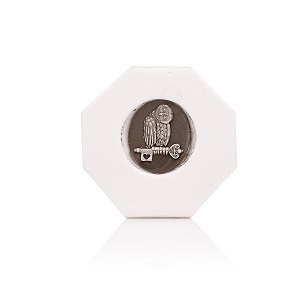 This is a similar process to the method used by the Royal Mint to produce coins. 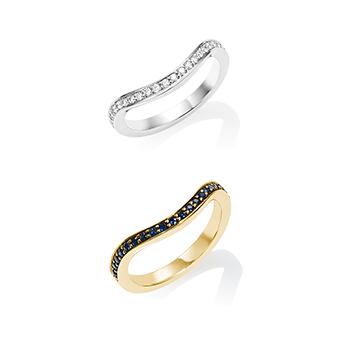 The flat profile is then forged by one of our skilled goldsmiths into a beautifully proportioned, crisp blank signet ring. 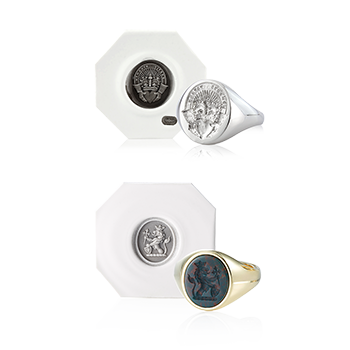 We believe that die-stamping produces exceptionally solid signet rings that are highly durable. The metal is denser and more compressed than that of a cast ring, which lends it to a more precise and defined engraving. 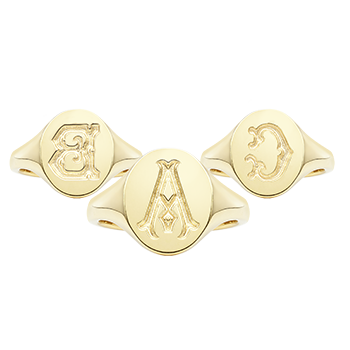 We do still use the casting technique, largely for stone set signet rings and other bespoke commissions. 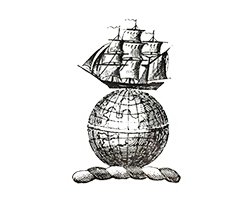 Rebus craftsmen and women never use computerised machinery to cut your engraved crest, monogram or lettering. 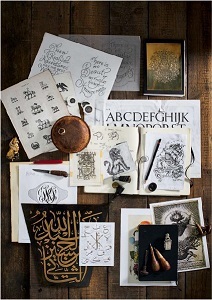 Every aspect of your design is hand drawn and then hand engraved. 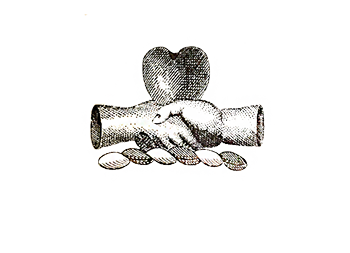 We believe and subscribe to the Slow Movement, which began in Italy in 1986 as the Slow Food movement and has since developed into different areas of our lives. 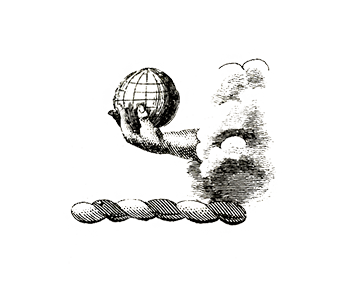 You can find out more about it in Carl Honore's 2004 book, In Praise of Slowness. Once you have decided on your design, the ring is carefully secured in specialised clamps, where we then dust the surface of the ring. This allows us to hand draw your design onto the metal, adjusted to fit the space perfectly. Once this is done, we use a metal scriber to score the design into the metal before we start to engrave. 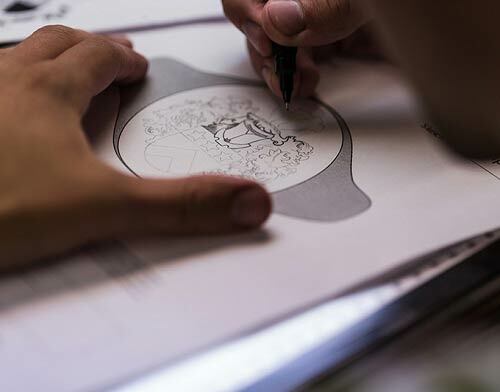 Under strong magnification, we meticulously carve away the metal, slowly revealing the design. The hard, compressed metal is a pleasure for us to work with and we are able to create incredibly fine detail within the engraving. 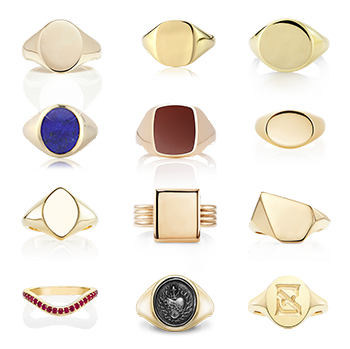 Stone set signet rings are carved by holding the ring against very small rotating wheels. 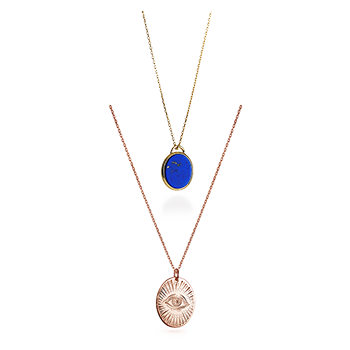 Using differently shaped wheels and abrasive diamond pastes, the stone is gradually carved away. Lastly, we carefully polish and clean the ring, taking care not to damage the engraving. 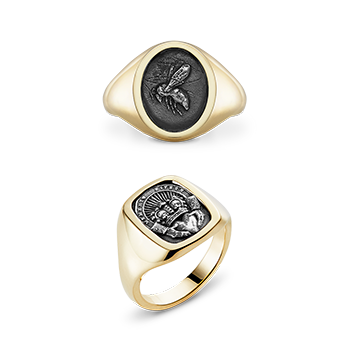 Traditionally, the design is engraved in reverse into the ring, so that the wax impression shows an accurate 3D representation of your artwork. A Rebus craftsman must have the ability to think and draw in reverse in 3D, with the work being perfect under a 4x magnifying glass. It takes a great deal of ingenuity and we often have to make our own engraving tools for an individual job. Every member of our team takes real pride in their craftsmanship and the relishes the opportunity to use this wide variety of traditional skills. It is this passion, attention to fine detail and simple love of the work that goes into creating a truly superb piece that is designed and made to endure. 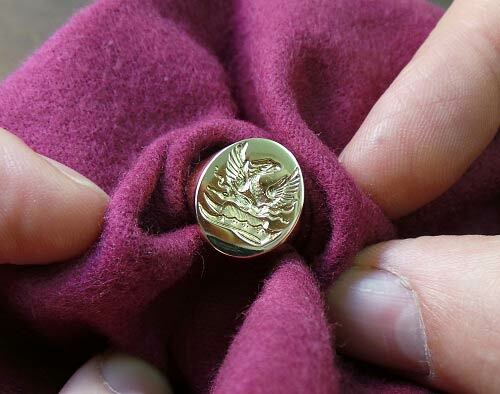 Every ring we produce is presented with an encapsulated wax impression of your seal engraved design. 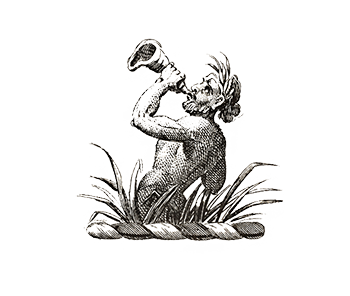 Be sure to keep this safe, as it is an excellent artwork reference of your signet ring, just in case you or future generations would like to have another Rebus signet ring made.